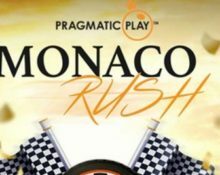 Monaco Rush 2018 – Pragmatic Play Giveaway! Play for an exclusive trip to the Monaco F1! Win a VIP trip to the F1 Grand Prix Race in Monaco! All F1 fans and wannabees, get on the grid and start your engines for Monaco Rush, a no-holds-barred race to the finish line with a €35,500 cash prize pool. This network wide campaign from Pragmatic Play will see one lucky player win a trip for two to Monaco to watch the famous F1 race live from the coveted Upper Grandstand. Plus there will be 499 runners-up prizes ranging from €20 – €2,000. So start the stopwatch, rev the engines and get ready to race to the top of the leader board by midnight on 2nd April 2018. The start of spring will be extra exciting this year as Pragmatic Play just launched a fabulous campaign. The Monaco Rush 2018 at all participating casinos will allow one lucky player to win an exclusive holiday package to the French municipality plus 499 cash prizes to boot. With an atmosphere so tense you could cut it with a cricket stump, the Monaco Grand Prix is not to be missed. Tournament Rules: Play on any of the selected slots with a minimum €0.50 bet and score the highest coin win in a single spin to race to the top of the leader board by midnight on 2nd April 2018. The highest score will win the main prize, a VIP Package to the 2018 F1 race in Monaco on 27th May 2018. A cash alternative of € 5,000 can be chosen at the winner’s discretion. All cash prizes are credited without any wagering requirements. Main Prize: 1 x VIP trip to Monaco for two worth €5,000, including standard return flights for two from Europe to Nice, France, 2 nights’ accommodation in a 4* hotel on the French Riviera, private return transfer from the hotel Monte Carlo, 2x tickets to the final day of the Monaco Grand Prix in an Upper Grandstand and € 500 spending money. Runners-Up Cash Prizes: 2nd – € 2,000 | 3rd – € 1,000 | 4th to 10th – € 500 | 11th to 50th – € 200 | 51st to 100th – € 100 | 101st to 200th – € 50 | 201st to 500th – € 20. An in-game tournament tab as seen on the picture below displays all relevant information including a live leader board. 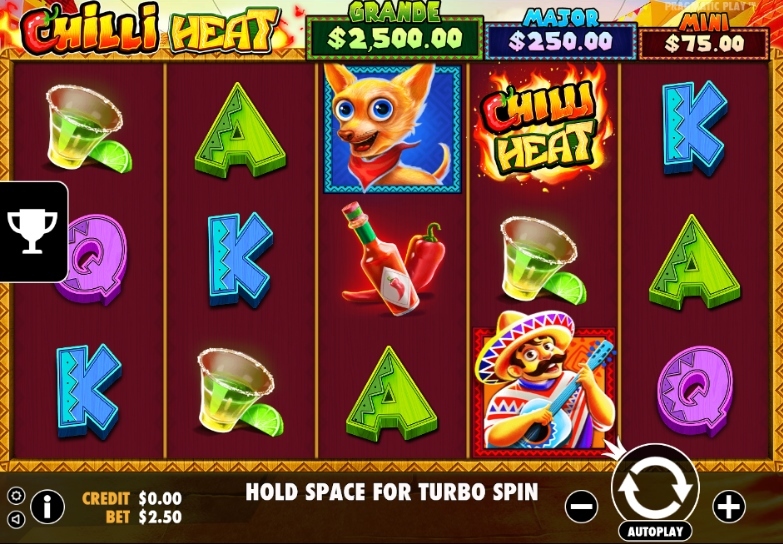 Chilli Heat™ is a video slot with 5 reels, 3 rows and 25 fixed pay lines featuring Wild substitutions, stacked Wilds, Señor Sun Free Spins and a Sizzling Re-Spin bonus game that can award one of three fixed jackpots. TRTP of this medium variance game is stated with 94.99% for the base game and 96.50% including the fixed jackpots, featuring a maximum win on a single spin of 1,000x bet when triggering the Grand Jackpot. Multiple jackpot triggers are possible in the same Sizzling Re-Spin bonus round. Bet sizes range from $0.25 – $125.